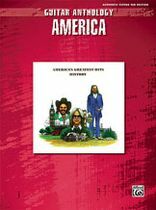 Forums :: America Fan Blog :: Beckley, Bunnell and Peek on stage again. Beckley, Bunnell and Peek on stage again. I'm probably not the best person to review an America concert. You usually want an unbiased take on things. 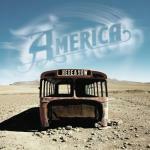 I have seen American in concert close to fifty times. Two, three and four times a year some years. It goes without saying, I am a huge fan. So, take my review with a grain of proverbial salt. Last night, in Grand Prairie Theater, America was, in a word, amazing. For a band that has been going strong, performing a couple hundred shows a year, touring for nearly fifty years, there is no sign of boredom, letting up, or going through the motions. Their energy was in overdrive and it was infectious. From the minute they walked on stage to "Minature" and burst into "Tin Man," it was obvious they are still having fun, still proud of these amazing songs they've written and recorded, and still respect the process. And, still on the top of their game. And, dammit, they can jam. They refuse to get sleepy, breathing new life into all those great songs, with the help of the next generation touring band. They played all their classics and a few more dusted off from the archives. I was enjoying it too much to take the time to write down a set list. But these were songs I have heard live so many times, yet they cut through me like they were new and fresh and I was discovering them all over. But the highlight of the night, and I have to say something that made lacrimal fluid secrete from the corner of my eyes, was when they introduced Dan Peek's brother David to play on and sing the Dan Peek classic "Lonely People." You could tell who the die-hard fans were. They, or should I say we, were the ones who leapt to our feet in amazement, this feeling that time somehow turned back if only for a moment, and it was 1976 all over. The emotion that swept over the crowd was, as they say, palpable. The look of pure joy on David Peek's face was something I will never forget. "Lonely People" never sounded so good, and hurt so much. When the song was over, the place went wild. I sat down and was breathless and a bit stunned. I haven't felt that in a concert in a long long time. David Peek joined the band for their traditional encore, "Horse with No Name" his smile was just as broad. Beckley and Bunnell seemed to enjoy it as much as Peek did. For one moment in time, Beckley, Bunnell and Peek were back together on stage. Thanks for an incredible show and a memory that will last forever. A few observations. One, bartenders don't bother carding people at an America concert any more. Two, the term, "are you holding?" means something totally different now: America needs to have a pee break intermission. Three, America needs to come back to Dallas more often. Re: Beckley, Bunnell and Peek on stage again. This review gave me goosebumps. Wish I'd seen it, too. Thank you so much. PS: I second the motion on pee break. Wow! Fantastic review of what sounds like an almost unbelievable concert. Thanks for taking the time to write and share this review, MUNIK! Well done! This surprise Peeked (piqued) my interest and prompted so many questions. Why hasn’t this been considered sooner? Maybe it has. Was this a completely random, spontaneous thing or was this part of the 50th Anniversary celebration activities? Nailed it, either way. If 50th related, are there more equally monumental moments ahead? Hope so! Is this a one-time thing for David or are there more Peek performances lined-up??? The first thought that came to my mind when I saw about this special appearance was that maybe my dream of finally getting to see Today’s the Day performed live may still be a possibility. I never got to see Dan perform, ever. Yes, I was and still am heart-broken. That said, I can’t think of anyone else that I would want to see sing this song with Gerry & Dewey than his brother David. Bringing tissues to future concerts, just in case. Lastly, it goes without saying, I wish I had been there. A little voice kept telling me to go and I seriously considered it but I was hoping my CHIEFS would be in the Super Bowl this weekend and didn’t want to leave town. Wish I’d listened now. Thank you very much for sharing your wonderful America Concert experience. Greatly Appreciated. Thanks Kevin for the evocative review of your brilliant concert experience. From: Iron Mountain-Kingsford, in Michigan's U.P.! Well done Kevin--great review! And there are clips of David's performance on Facebook or even Youtube. "You are one more posse to pass in the night, one more card to conceal..."